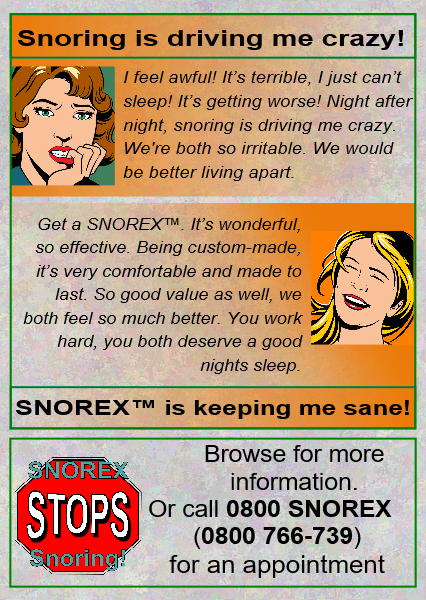 SNOREX™ is a premium service, providing a custom-made device designed to prevent snoring. Guaranteed. Made in New Zealand for over twenty-five years. For a confidential "In-home appointment" (Selected areas only). For comfort and performance don't delay.